The Securities and Exchange Commission (SEC) announced this afternoon that they’re opening an investigation into whether Exxon has failed to account for the risk climate change and climate regulations could pose to their business model. This is big: the fraud case against Exxon just went federal. Click here to spread the news on Facebook. This investigation could fundamentally reshape how Exxon and the entire fossil fuel industry does business. If the SEC finds that Exxon has lied to its shareholders, the company could face major penalties. More importantly, a ruling that forces Exxon to account for its climate risk could help shut down new fossil fuel development and industry expansion. This step by the SEC wouldn’t have happened without you. 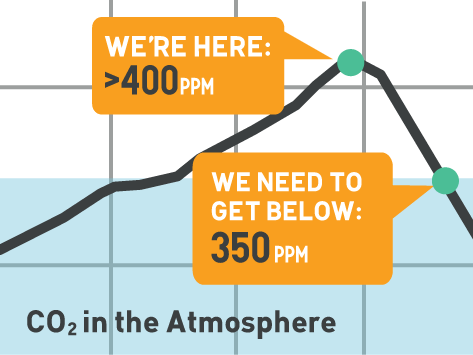 The divestment movement has helped mainstream the idea of stranded assets and climate risk. And the wave of voices calling out #ExxonKnew triggered the investigations that revealed the internal documents the SEC is now using to go after the company. If we can’t keep up our momentum, Exxon could intimidate regulators and investigators into backing down or narrowing the scope of their inquiries. If we can keep shining a light on Exxon’s lies, we’ll be closer to dismantling the power of an industry that’s still recklessly — and knowingly — driving the climate crisis. Please forward this email, share the graphic above on Facebook, or tweet it, so that more people will join this campaign and help amplify the big news. 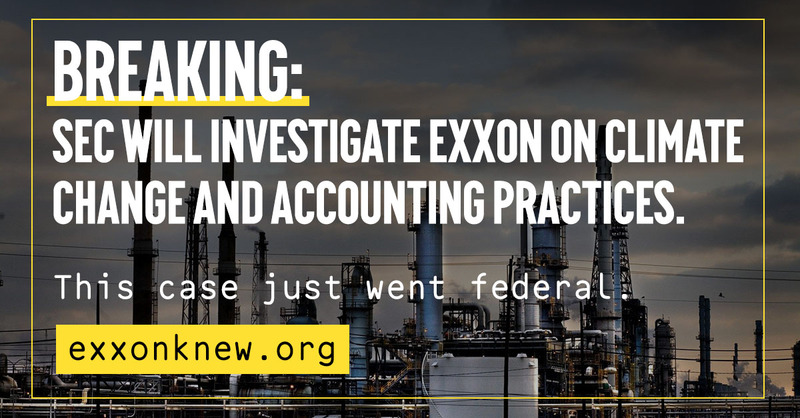 And you can learn more about Exxon’s lies and the campaign to hold them accountable at exxonknew.org.